Life is generally very busy these days with people working long hours & commuting from place to place. Customers are now looking for convenience and value for the money. No problem, if you are searching for a mobile mechanic that can reach out to you, Pflugerville Mobile Auto Repair, in Pflugerville is here for you that can come to you at any time. We are set up to cater to this growing demand. Don't take it to the shop, let the shop come to you. Pflugerville Mobile Auto Repair, come to you. We offer fast, reliable, and professional services. No more waiting in an auto repair shop. We fix and repair all types of vehicles. We come to your home or office so you don’t lose any time from work, relaxation, or time with your children. We are committed to providing you with the right service at your home, work, or emergency roadside. We offer 24/7 emergency roadside assistance. Call us and give us the opportunity to earn your business. We are the largest mobile mechanic service in the area. 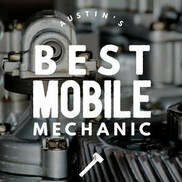 Pflugerville Mobile Mechanic : 512-746-7277 Mobile Mechanic Pflugerville, TX.